Building software, designing products, and leading teams. Constantly learning. Sharing knowledge. Need your users to visit your portal everyday? Try adding a Dilbert comic strip. Death to Windows Services...Long Live AppFabric! 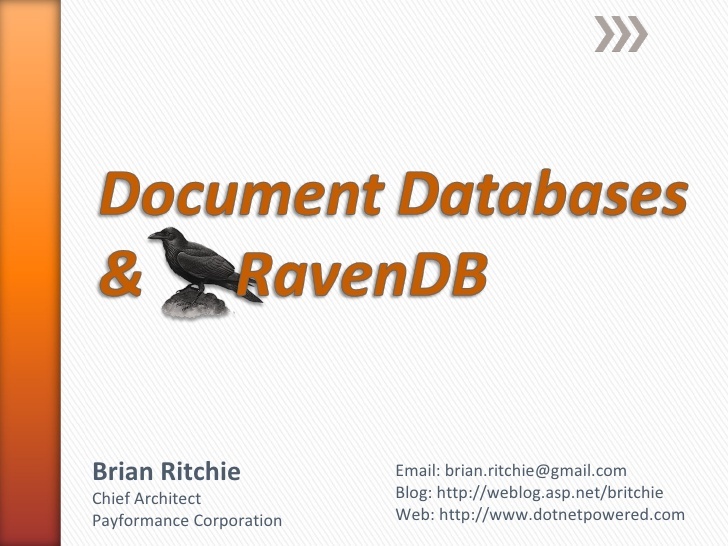 Have an existing application that needs search super powers? Or are ad hoc searches melting your SQL Server? Either way, this is the presentation for you. We will explore search enabling an existing application - from data modeling to retrieval. 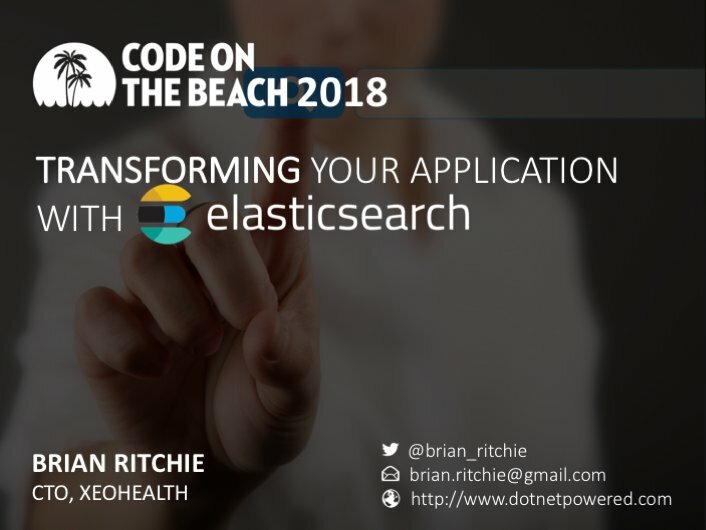 In this talk, we will cover data modeling for search, connecting ElasticSearch to your data pipeline, building a search API and connecting to an Angular web site. Event-driven systems provide simplified integration, easy notifications, inherent scalability and improved fault tolerance. 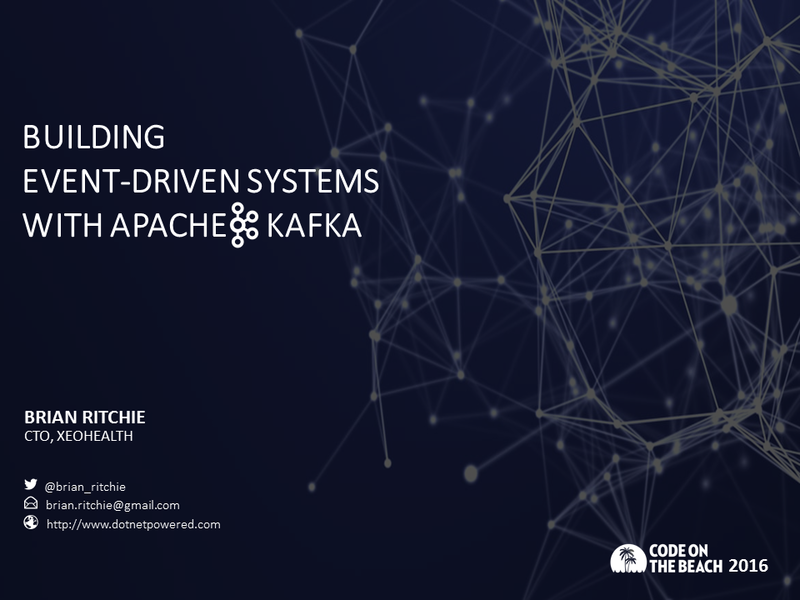 In this session we'll cover the basics of building event driven systems and then dive into utilizing Apache Kafka for the infrastructure. 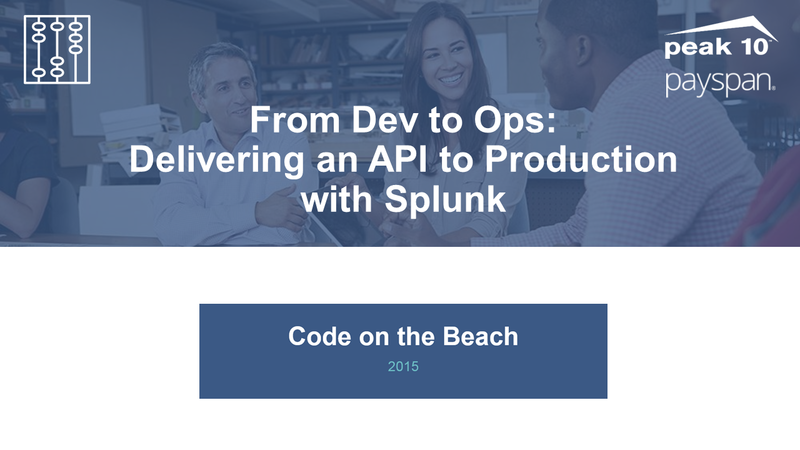 As your API moves into operations, we will explore how you can use the Splunk platform to give your devops or ops teams the operational insight they need. We will demonstrate how Splunk can be used to provide historical and realtime visibility into your API applications and much more. 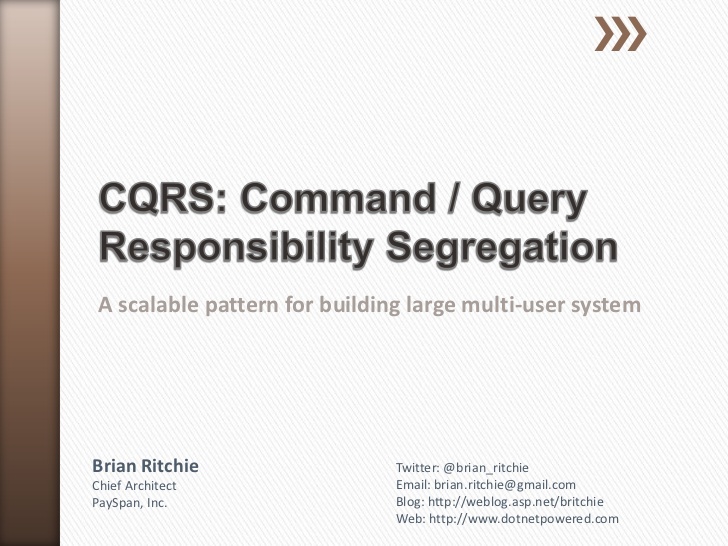 A scalable pattern for building large multi-user system. 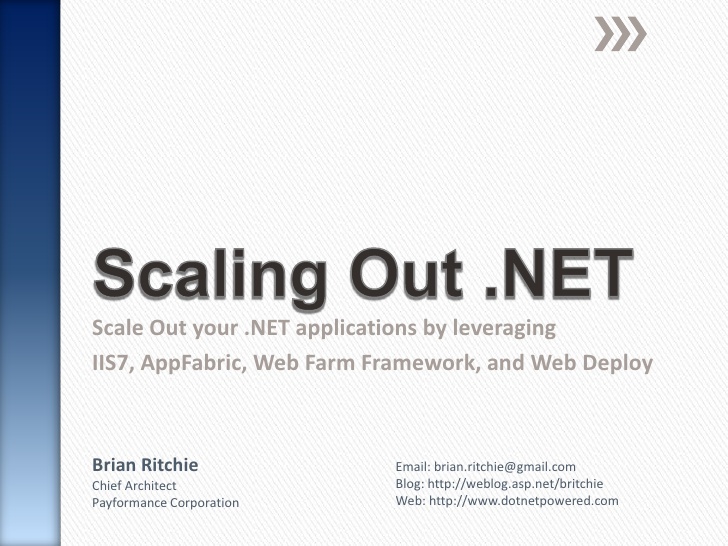 Scale Out your .NET applications by leveraging IIS7, AppFabric, Web Farm Framework, and Web Deploy. 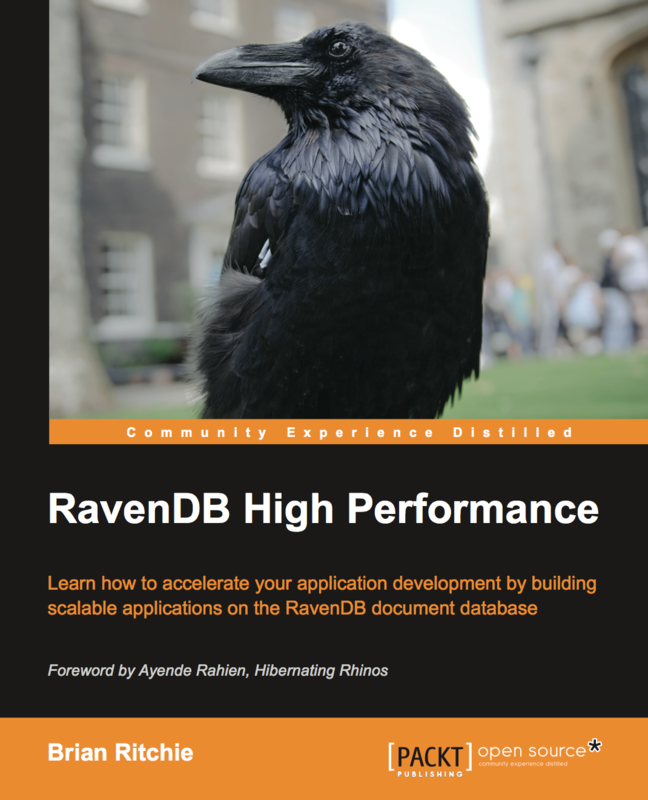 Learn about NoSQL, Document Databases, and RavenDB: a 2nd Generation Document Database. 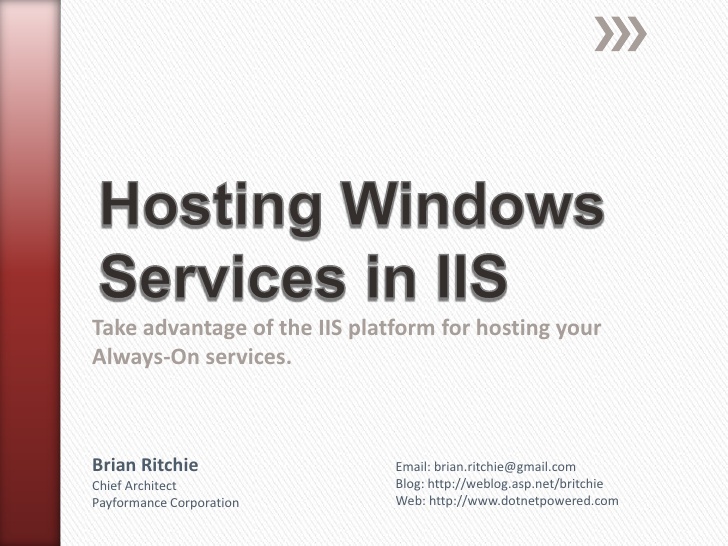 Simplify your enterprise by standardizing on the IIS application server for both Web & Windows Services. 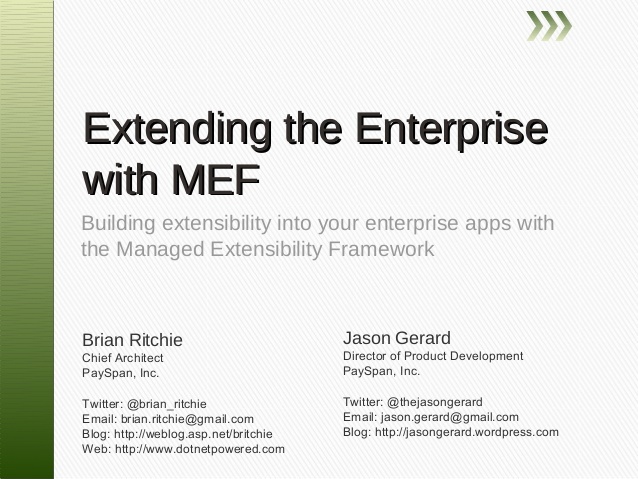 Building extensibility into your enterprise apps with the Managed Extensibility Framework. © Copyright 2016, Brian Ritchie.